This made me realise that it is sometime since I wrote about the clever way that Aurifil has for keeping the spool thread tails tidy. 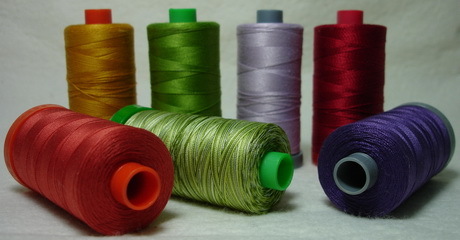 The small spools have a slot at top & bottom where the threads can be wrapped several times to be anchored into place. The large spools only have one removable end / base. 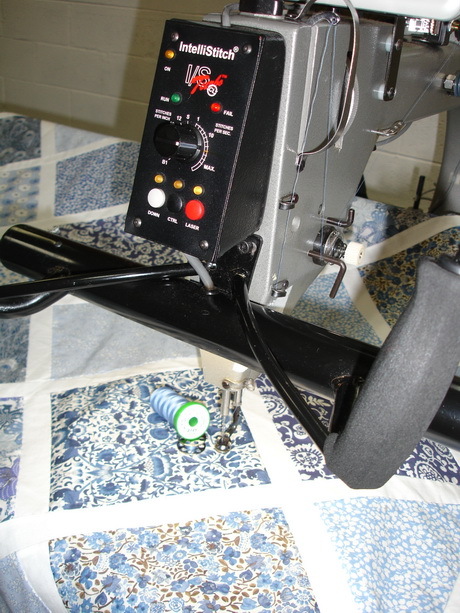 When using the large spool it is helpful to move this base to release the thread to run smoothly. Hope this helps keep your thread collection tidy! 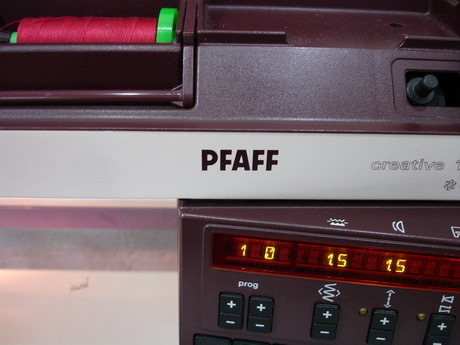 Are you friends with your sewing machine? Life is much more creative if you have made friends with your sewing machine! Every so often we receive a call for help from a quilter who is struggling with her project because the thread is breaking as she is stitching, so I thought that this was a topic worth talking about here. Even good quality thread will break if it subjected to too much friction as a quilt is being stitched. 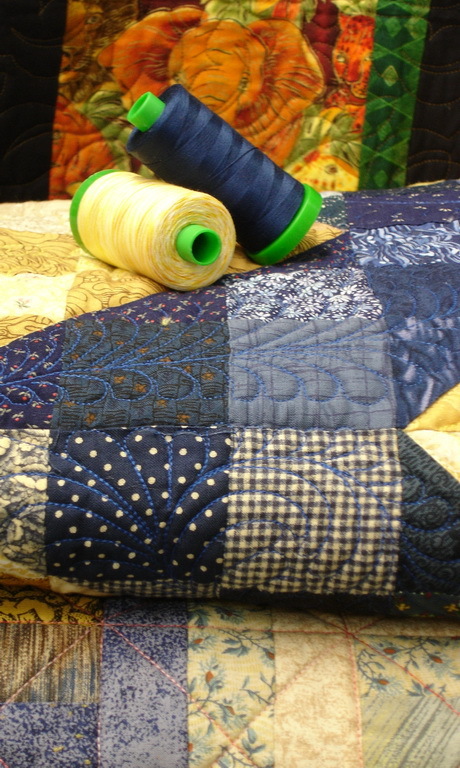 Quilting involves “pushing & pulling” a quilt sandwich around under the presser foot, forcing the sewing machine to do more than simply stitch two layers of fabric together, so the sewing machine set up can contribute to the friction on the thread. 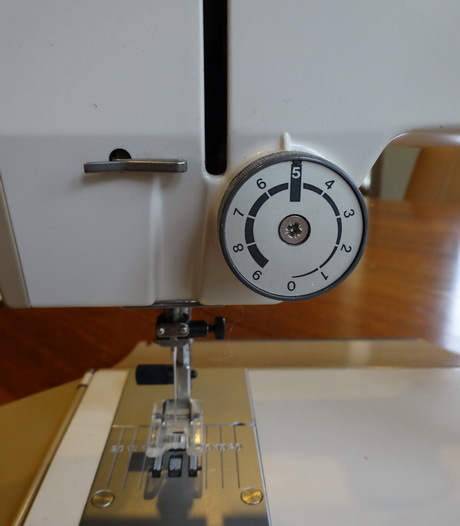 This list looks frustrating but, apart from the last point, where you might want to take the machine to a technician, you can teach yourself to recognise, and solve, all these issue by getting out your sewing machine manual. You’ve already learnt how to make a quilt, so add to your skill set by learning how to “drive” your sewing machine. Choose a needle that is appropriate for the thread, a finer needle for thin threads and a heavier, bigger needle as the threads get thicker. The needle must make a hole big enough for the thread to travel through the quilt sandwich. Choose a needle dedicated to a particular task. 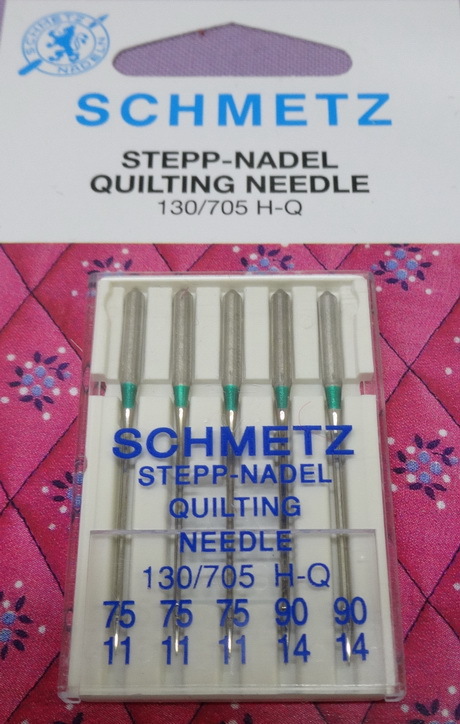 eg: Quilting needles are designed to stitch through the three layers of a quilt with ease. 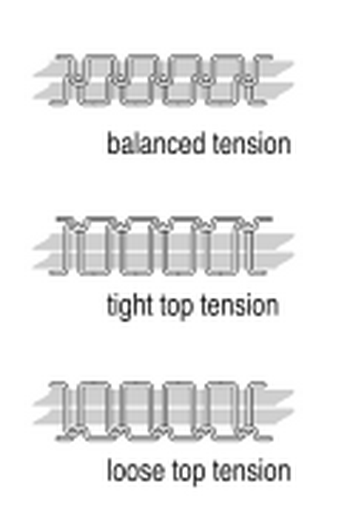 Be brave, read the machine manual & learn how to adjust the tension. Before you start, record the pre-set tensions with a photograph and now play. Start with one adjustment at a time, and stitch a sample. Build up a stitched record of what happens as the tension is changed. The ideal result is a stitch that makes a good lock in the middle of the seam or quilt sandwich and a line of stitching that looks relaxed without being too tight or loose on both sides of the fabric. Add a drop of oil to the bobbin race & run the machine to spread it into the bobbin race and spin out any dust. If your machine handbook advises that the machine does not require oiling, add a drop of oil to a cotton bud and swirl it around the bobbin race to pick up the last traces of dust. You can read our hints about cleaning your sewing machine in this earlier post. A really fine thread eg: Cotton Mako’ 50 will give a good result for show quilts that are stitched with heavily detailed feathers and close background fills but it is not necessarily the thread to use to quilt a utility quilt with an open quilting pattern. Cotton Mako’ 40 is more suitable for day to day quilting. The ditch stitching will stay tucked in the ditch and the thread will produce great quilting texture and shadows. Quilting with Cotton Mako’ 28 will be more visible and a slightly larger needle may be required than the needle that is used for Cotton Mako’ 40 & 50. 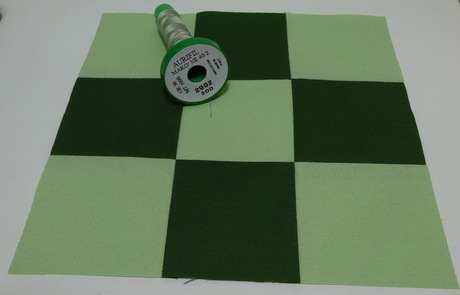 Use Cotton Mako’ 12 to stitch decorative designs that are very visible. This thread is thick, so the machine needle and tension settings will definitely have to be adjusted. I match the same thread in the bobbin for all thread weights EXCEPT Cotton Mako’ 12. For this thread I use Cotton Mako’ 28 to give a well balanced stitch without having to modify the bobbin tension. 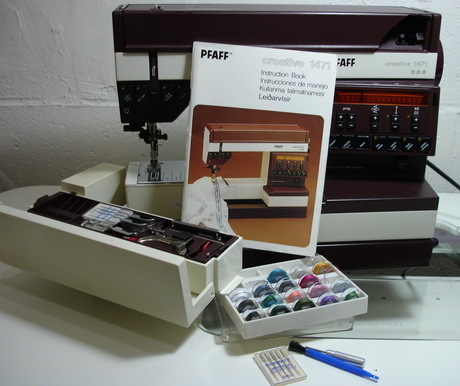 Now, start making friends with that sewing machine today! Your Question Answered: Which stitch to use to piece a quilt backing? Yesterday, at Always Quilting, we were preparing the backing for a patchwork top that we will quilt this week so I introduced Judysewforth to my favourite “magic” stitch for this job. My sewing machine set up ready to join fabric to make a quilt backing. Instead of using the usual straight machine stitch, I always join backing pieces together with a narrow zig zag stitch. 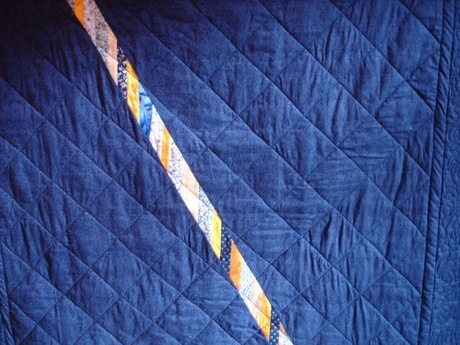 Quilt backings are large and, when they are made of several pieces of fabric, the seam line can be a point of tension. Using a zig zag stitch introduces a little flexibility into the seam line and allows the fabric to ease into place to make a flat backing. 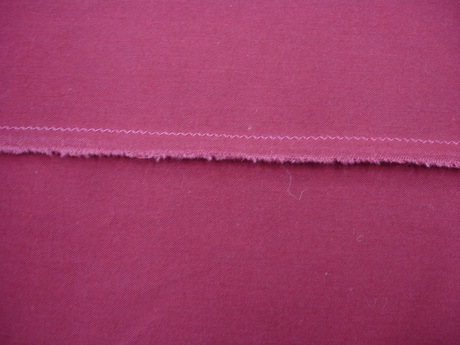 On my sewing machine I choose a standard zigzag stitch with both the width & length set at 1.5. You will need to experiment on your own machine to find the best setting. 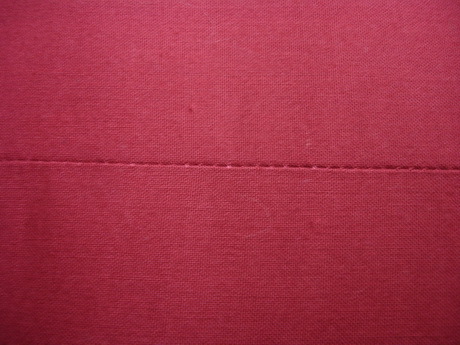 From the right side of the backing it is very difficult to tell that the seam has been treated differently, that a zig zag rather than a standard straight stitch has been used. I don’t remember who introduced me to this technique, but I know I have been using it for a long time and it has taken the stress out of making quilt backings for both me, and the fabric! 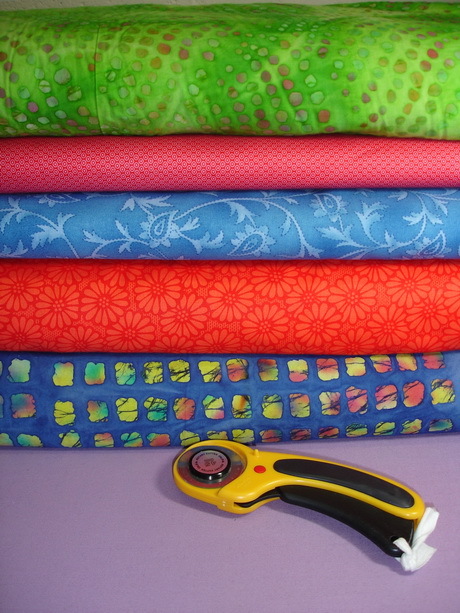 Or you can simply purchase extra wide fabric that will not need to be joined together to make a quilt backing. Chain piecing is a simple way to use the stitching to keep pieces, and blocks, in order as you work from single units to blocks and eventually to the quilt top. If you haven’t chain pieced a block before a nine patch block is good way to test the method. 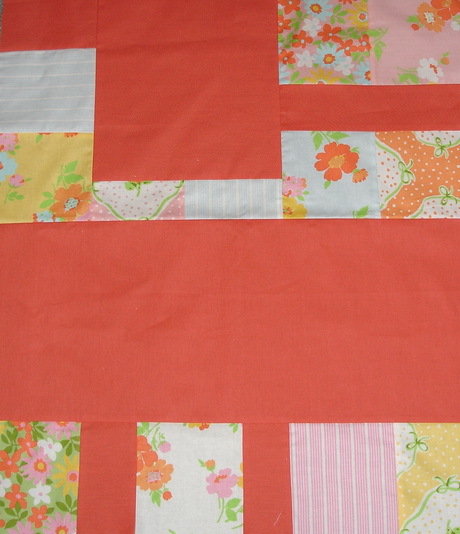 Simply set out the parts of a block, or quilt, in the placement order in which they need to appear in the finished work. First set the parts of the block out in the correct position. Stack the units up in the order of stitching and place the piles on a ruler, or small cutting board, so that they can be moved around with out displacing the order. Start by picking up two adjacent pieces from the top row of columns one & two. Place them right sides together, with the piece from column two on top, so that the seam that will join them together is along the right hand edge. Without stopping to cut the threads pick up the two pieces immediately below, and in line with the first set, and stitch these together. Continue stitching until all the pieces that were in the first column have been stitched to the adjacent piece in the second column. Press the seams to one side, in alternating directions, before joining the units from the third pile to their partners. Now that the units are all attached to each other in the correct order, sew the remaining seams to complete the block. Sounds easy doesn’t it … but …. 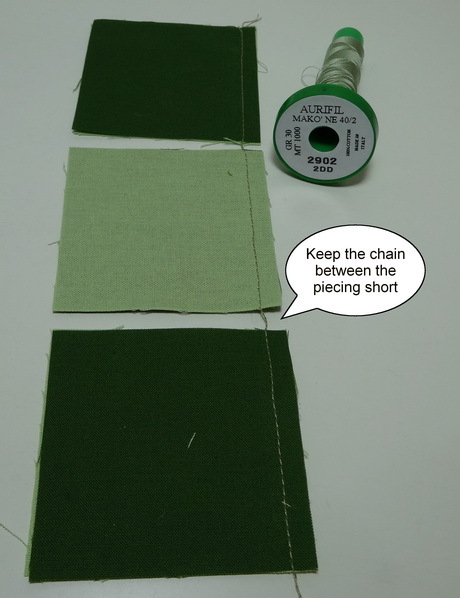 there are some tricks to successful chain piecing. Sewing machines are designed to stitch two pieces of fabric together, not to stitch a chain of threads, so the chains can break if you are not careful. I prefer to piece with Cotton Mako’ 40 so my all purpose piecing needle is a size 80. 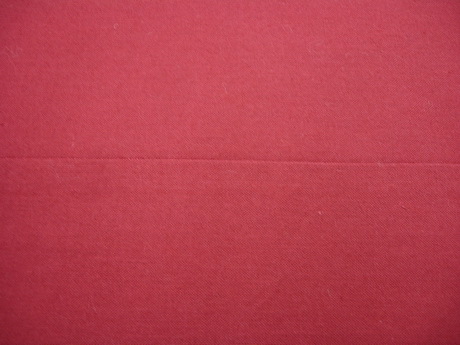 However I know that many other people use Cotton Mako’ 50 as their “go to” thread for piecing. This fine thread should be matched with a finer size 70 Microtex needle when chain piecing. 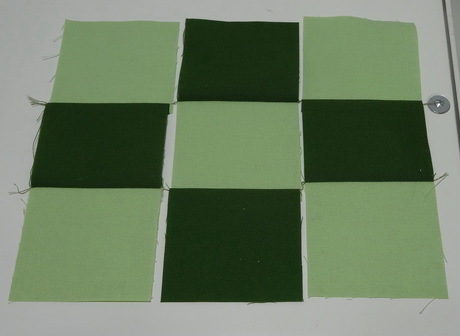 This same method can be used to join the blocks in a quilt. However, it can become unwieldy if you try to piece the entire quilt in one go so break it down into smaller groups of blocks. At Always Quilting, along with always talking about Aurifil thread we also quilt for other people …. you know …. we have a machine quilting service where we turn other people’s patchwork tops into finished quilts. ……… and sometimes we even find time to turn our own patchwork tops into finished quilts. This means that we have seen a lot of quilt tops and their backings over the years! When talking about quilting, a frequently asked question after, how big should the quilt backing be, is what to do when the fabric chosen for the quilt backing is a smidge too small. Now, I know that there are plenty of specialist wide backing fabrics available today, in fact we have some great backing fabrics in stock in the shop. 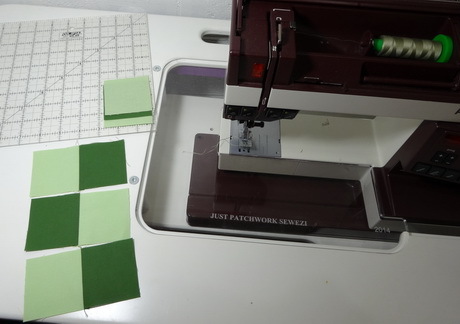 Gail added a diagonal panel to increase the length & the width of the backing for her quilt. The aim is to make an “ART BACK”, a backing where you deliberately set out to make something interesting, not one where it was obvious that you ran out of fabric and had to use another fabric to extend the backing. Get instructions for making an Art Backing for your next quilt or see more examples of Art Backs here If you have been following our “Welcome Quilt” block of the month this year you will have an opportunity to make a small Art Backing for yourself. Read the instructions judysew4th gave last month for piecing the backing for the Welcome Quilt. 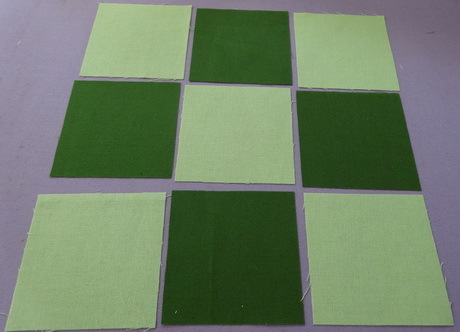 The idea is to use up the remaining pieces of the half metre solid fabric and charm squares to make the backing. The instructions for making your own Welcome Quilt are still available for Free download.